OUR MISSION is to work together as a family to create and source unique gifts that will be remembered for years to come. We promise to provide exceptional customer service and a memorable experience from start to finish. We opened our retail store on November 7, 2015. We are located at 111 Park Street, in Tupper Lake, NY. Check out our hours of operation under our contact us tab. 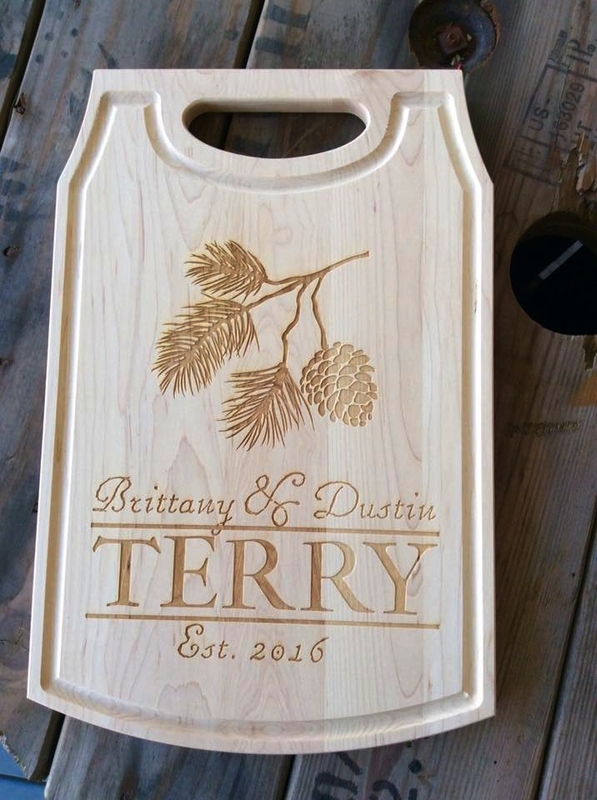 We have a variety of items that can be personalized to create a one of a kind gift. At this time we are only accepting personalized orders via email as we are spending more time at home with our new son. Please email us at Spruceandhemlock@gmail.com to start the ordering process. We have created and shipped wedding items all over the World since 2008. 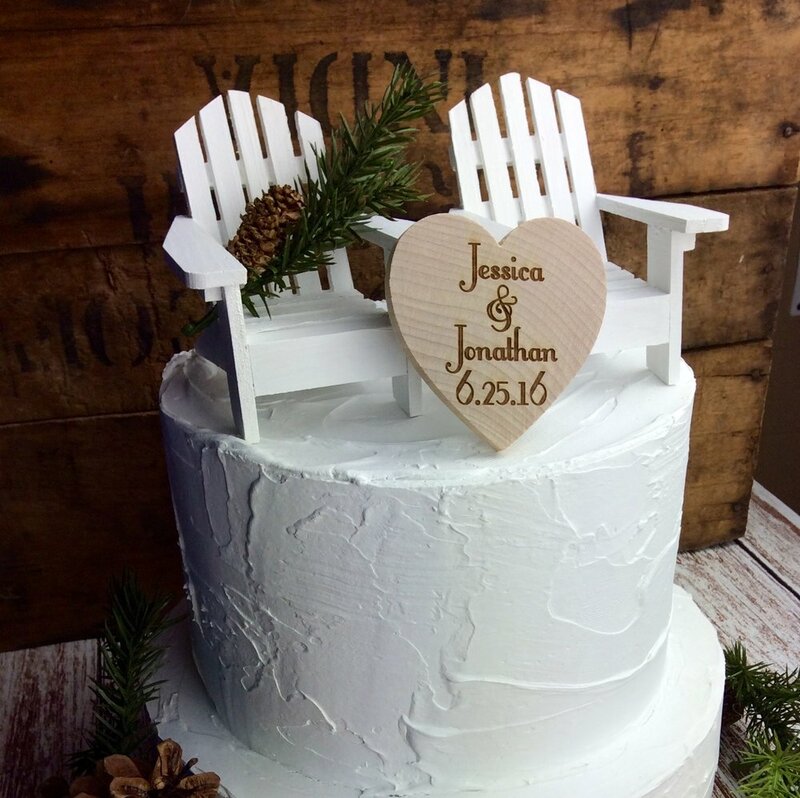 We specialize in cake toppers, wedding favors and boutonnieres! 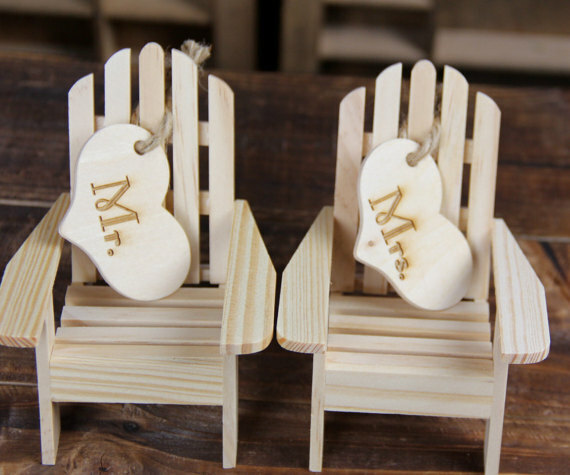 Shop our wedding products here! We loved creating items for our store so much that we wanted to make them available for your business. We have created items for dozens of gift shops, restaurants, fundraisers, corporate gifts and more. Low minimums and an extensive product line will make Spruce & Hemlock Country Store your number one supplier for one of a kind items. Check out our linesheet. We get so much pleasure out of our online store because it gives us the opportunity to send our products all over the World. Our Hotel Coasters have traveled to families out West and our Tupper Lake signs hang on the walls of winter getaways in Florida. What a privilege it is to send these gifts to someone who may be missing home!